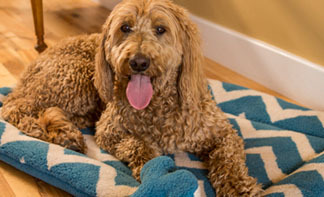 Dog Mats, Dog Crate Mats and Dog Blankets are useful in so many ways. Use for travel and home. Perfect for crates or as an extra bed. Help your pet stay cozy & warm with one of our soft and fluffy blankets. Dog blankets can be used as furniture throws. We've got sizes to cover your furniture or car seat An incredible selection from basic to designer.